Ninety minutes due west of Albuquerque you’ll come upon Grants, New Mexico, a depressing one-horse hamlet if ever there was one. It’s sole redeeming feature is the only liquor store within many miles. (I bought both the red AND the white; I suggest you do, too, should you ever find yourself in or around Grants.) The town is also the turn off for Quemado, my next destination, which is another hour and a half away. The views on this part of the road trip have so far been little more than rock-strewn landscapes and truck stop casinos. 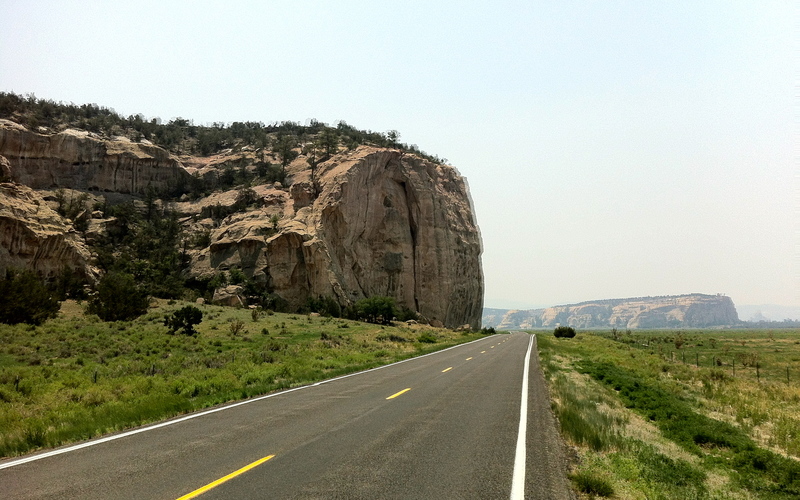 Yet on the road south of Grants the underwhelming turns unexpectedly scenic – and amazingly untrafficked – as you enter El Malpais National Monument. The name means badlands in Spanish, which is an apt description given the extremely desolate and dramatic volcanic fields that cover much of the park’s area. Yet El Malpais is also home to some of the oldest Douglas Fir trees on the planet, so you’ll find the topography, at times, abruptly shifting from fallow to verdant and back again. An easily accessible point of interest is the La Ventana Arch, a naturally occurring sandstone arch. 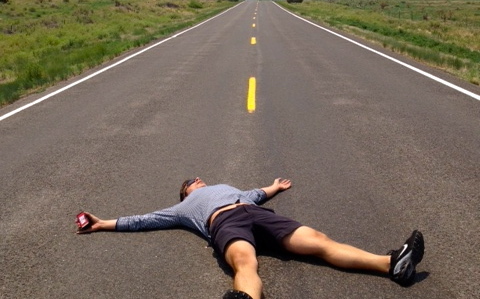 And if you have the urge to lay down in the road and have your photo taken, well, this is an ideal place to do that, too.